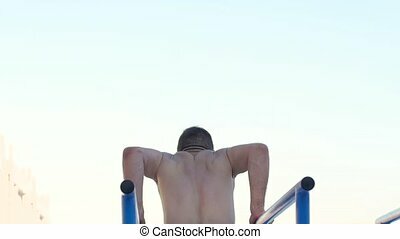 Muscular guy doing push-ups at outdoor park, slow-motion shot. 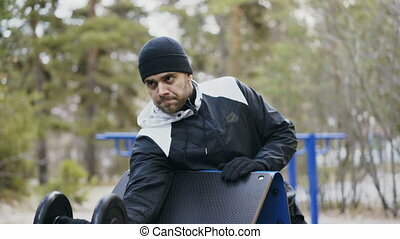 Portrait of woman in sportswear, doing fitness push-ups exercise at fall park, outdoor. 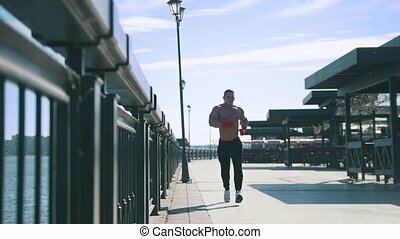 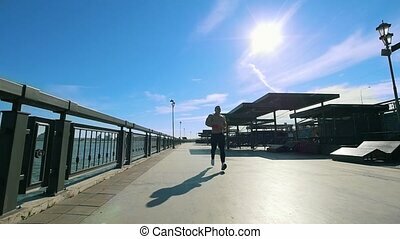 Healthy lifestyle, weight lossing and sporting theme concept shot. 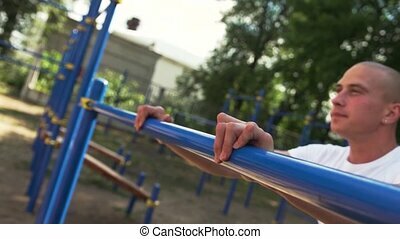 Triceps dips. 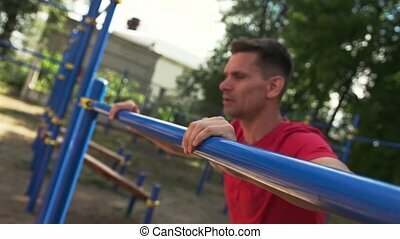 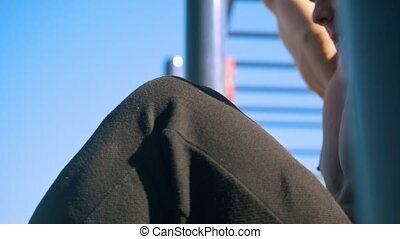 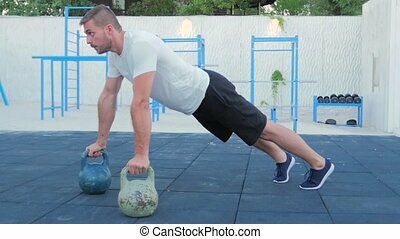 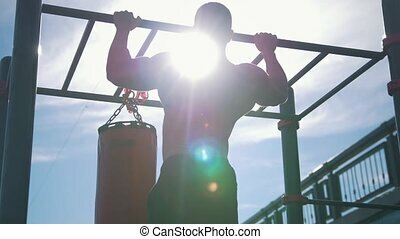 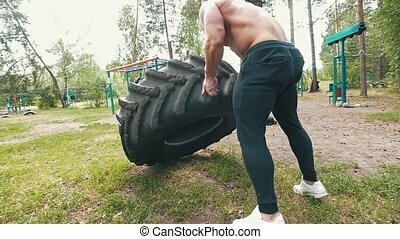 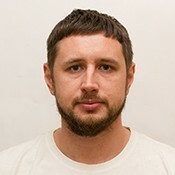 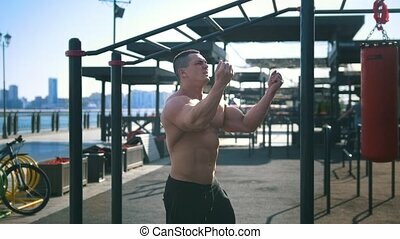 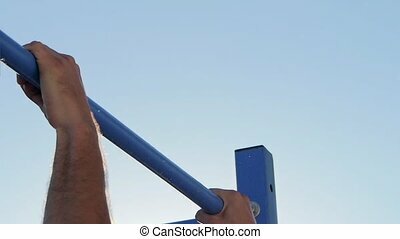 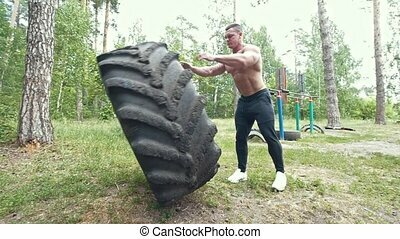 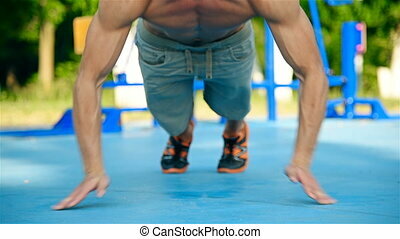 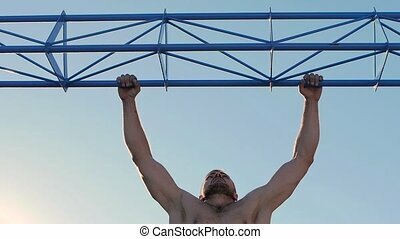 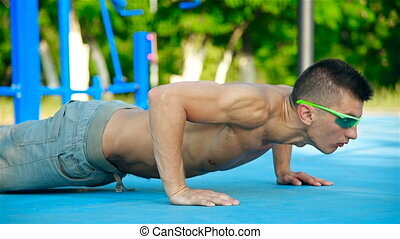 Muscular Man Exercising Push-ups On Playground Outdoors. 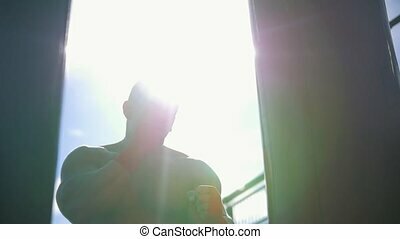 Slow Motion Effect.